I had the pleasure of interviewing Nick Di Donato. For over three decades, Nick Di Donato, CEO of Liberty Entertainment Group, has been redefining the restaurant and special event experience in both Toronto and Miami. Nick is particularly known for the restoration of historical properties into world class entertainment venues, which can be open to the public and become the epicenter of the surrounding community. 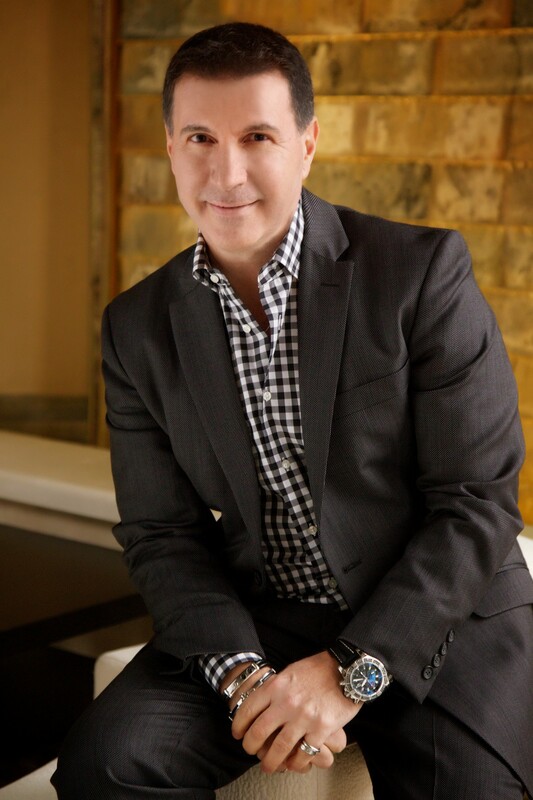 Nick Di Donato has been recognized for his outstanding contribution to the development and representation of the hospitality industry and has received Food Service and Hospitality’s Magazine’s Pinnacle Award for Entrepreneur of the Year and both the Bartender’s Ball and Night Club’s Life Time Achievement Award. In addition to his busy work life, Nick serves on the board of multiple community-based charities and is the founder of Sharing & Caring Christmas Gala, event hosts over 1,200 underprivileged children from priority neighborhoods across the GTA. In addition to giving his time, Nick supports a number of charitable initiatives in the form of sponsorships and donations. Liberty Entertainment Group provides sponsorship in excess of $750,000.00 annually to worthy causes in Miami and Toronto. I originally started my professional career as an Engineer. Having been exposed to restaurant industry in my youth by my father who had his own restaurant, my brother Pat and I opened our first venue together in 1986 — PM Toronto. I continued to work at Imperial Oil in the day and then PM Toronto at night for about 2 years, before I made the switch to hospitality full time. My engineering background has served me very well in both the technical side of building venues but also in operations. In the world of celebrity and people chasing them down, I had a reverse case scenario! I was at one of my restaurants and Nicholas Cage, when he was at the top of his career, walks in. As I approach, he asks “ Is there a guy by the name of Nick here? Jim Carey told me that when I arrived in Toronto, the first guy I should meet is Nick!” I spent the next month while Nicholas Cage was filming in Toronto, helping him to get to know our great city. I learned very early that celebrities are no different than any of us. They just want to be surrounded by people they can trust and just treat them like anyone else. We are currently working on two new projects. Arcane a nightlife venue slated to open in the spring and Xango a new restaurant venue with Claudio Aprile, slated to open in the summer. Passions Meets Talent & Skill: There is a cross section where what you are best at meets what you love! Most people never take the time to analyze this and are in the wrong place for the right intended reasons. I need to support my lifestyle, this is what I have experience in and it’s what I know. Conversely, a staggering amount of people pursue their passion, but it never crosses with their core competencies but when your passion meets your talents/skill set- Boom! That’s when your productivity soars. Managers Interaction with their Team Members: Many managers fail to recognize that quick one on one meetings with team members are very impactful for productivity. Not only does the team member feel the satisfaction of empowerment and trust but also the growth in confidence from being asked for input from their manager. Some managers are uncomfortable with asking for their team’s advice or opinions because they are concerned it will lose them respect and admiration. It is exactly the opposite! If engage your team members in important decisions and task them on research towards making an important call, they’ll feel the sense of value required to be productive and they themselves will feel like a stakeholder. That’s when you’ll get productivity — when they feel pride of ownership. Goal setting and Rewards…the rewards are only part of this. The actual process of working towards goals fosters unparalleled team work which grows a “club culture”. A club culture is when one feels part of a special club. It’s that feeling a kid gets when they make the sports team and receive their club jacket. To belong and feel part of something special is an inclusivity everyone wants and craves. Company productivity: none of us are productive when are not enjoying what we are doing all day long. Inspiration is the key driver. Even just one unhappy person in your organization will breed a negative culture and will spread throughout the group causing perception to be negative and this outlook brings on poor behavioral traits such as laziness, sarcasm, frustration and a “why should I” vs “why not” attitude. This drains energy, takes away focus and leads to a degenerative and discombobulated environment. This is avoided with a good “behavioral interviewing process”. This is an interview which exposes how and what you did in a specific situation and therefore providing a window into your future behavior in a similar scenario whilst giving the candidate pause to look at how they may or may not be a fit. Company Profitability: Very simply, if the team members do not feel like valued stakeholders, you will experience low productivity and therefore lack of focus and in turn will impact company profitability. The drive for excellence is most commonly found in the eyes of Olympians. They are driven. They are happy to be doing what they are doing. Their enthusiasm and inspiration are heightened every day as they get closer to their goal. You can liken an Olympian’s medal to profitability. They have a clear and concise reason for getting up every day. They know where their focus lies. They feel part of something unique & special and are fueled by the fact that step by step, day by day they are getting closer to their ultimate achievement and personal best. This is how they become “profitable”. The right workplace environment will not only prevent the negative impact on company profitability, it will enhance and grow your numbers! So set individual sand team goals. Employee Health & Wellbeing: Success Breeds Success! If you are happy in one main area of your life, it will most definitely have a positive impact and outlook on other areas, providing you an open-minded approach and positive starting point for other categories. Conversely, if work is not energizing, lacking in inspiration, frustrating and perceived as a chore, your energy, attitude, motivation and overall enjoyment in your personal life will suffer. It won’t drive you to workout. You’ll likely want to sit around in your free time and eat unhealthy foods. Your displeasure with your workplace will most definitely spill over into your personal life and mental health because 40 hours of work is a considerable amount of time each week and will impact anything on the perimeter. Infusing leadership into every role no matter what the level is an important element to fostering a positive work culture. It doesn’t matter if you are senior management or a front-line worker, everyone rolls up their sleeves for the same cause. This act of leadership fosters a very positive culture which people want to be part of. People buy into passion for the brand and the spirit of what it does. In our business in particular, we are not simply selling event space or dining, we are selling memories of a lifetime, company milestones, celebrations, and new & exciting connections; an experience which moves people on an emotional level and impacts their lives. Attitude & Effort are the foundations to it all. Attitude must be the willingness to learn and grow whilst supporting others with your strengths. Effort is dedicating yourself to perform at your absolute best level. Effort without attitude is a deflated and wilted energy. We all row the boat together in sync, funnel and drive our energies toward the same objective. It is important to establish, with the team, what the goal is to be so that everyone has a stake in the game and feels a part of this forward momentum. It is important that the team feels they can have open communication and dialogue not only with management but with their colleagues as well. Team members should feel comfortable in providing and receiving feedback both positive and otherwise and should never feel that cannot speak up with an idea. As a society, to make a broader change to the workforce’s work culture, we need to embrace a holistic approach to the workplace. We need to first make sure there’s a true alignment between the person and the “company role” so that this becomes a career vs a job. Turnover is way too frequent in most companies and starting off with proper alignment will help to ensure retention. This can be done through a predictive index analysis and “behavioral interviews” which allow the candidate to convey how they’d deal with different situations based on what they’ve done before. Also, we need to fuel our work days with personal & team goals, empowerment and team contributing practices all set in place by managers. Set those team meetings where team members will boast about their latest accomplishments and convey their ideas to managers. We don’t hold anyone’s hand. We guide, direct and support. We empower team members to make sound decisions, come up with solutions and solve for the client’s greatest experience. We all know excellence is found in the details and this is where change takes place. It is also how you discover if someone is happy in the workplace. If they are passionate about the details and great at perfecting them, it is because they have met the ultimate crossroads where what they love and what they are doing have met. This equals Productivity, profitability and overall health and wellness in the workplace. My wife, Nadia! When I first started my career in hospitality, she was supportive of my decision. When moving from a comfortable job as an engineer with the largest company in the world (Exxon) which provided long term financial security, she supported my decision to start a new career which provided me with a passion for the job I was doing. I am very grateful for the opportunities I have had and am very much concerned with giving back to the community. In addition to providing significant sponsorships and donations to a number of charitable events held the Liberty Group venues, community involvement has also been a priority for me. I have been asked to speak at seminars and do consulting for both Rotman’s Commerce at the University of Toronto and Florida International University’s Business School. I also lend my time to a number of charitable organization’s board of directors to share my expertise including Canada’s Walk of Fame, St Michael’s College School, Italian National Day at Castello Itali, FoodBall in Support of Mount Sinai Hospital, Caring & Sharing Children’s Christmas Gala. I am always looking at how to improve our brands regularly. It’s never enough to say we are at the top of our game and it’s good enough. If you don’t keep improving, you will find very quickly you are no longer the leader in your field. I think everyone should always consider how they can give back. I always make sure we are always supporting a charity or good cause. I believe in Karma and the better I do for others the more good will come to me.